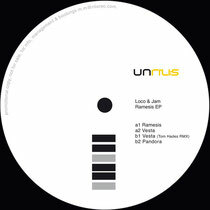 Italian techno label Unrilis returns with a new EP from Northern Irish duo Loco & Jam, backed with a remix from Tom Hades. Rino Cerrone’s Unrilis label, alongside parent label Rilis, has, for many years, been a constant on Italy’s ever developing techno scene. Records from like-minded artists including Mark Antonio, Sasha Carassi & Joseph Capriati, have in recent years, augmented the releases from Cerrone himself and have helped make Unrilis a globally recognized imprint. Now the Unrilis team looks to Northern Irish techno heavyweights Lloyd Reid & James Peoples AKA Loco & Jam for its latest release. 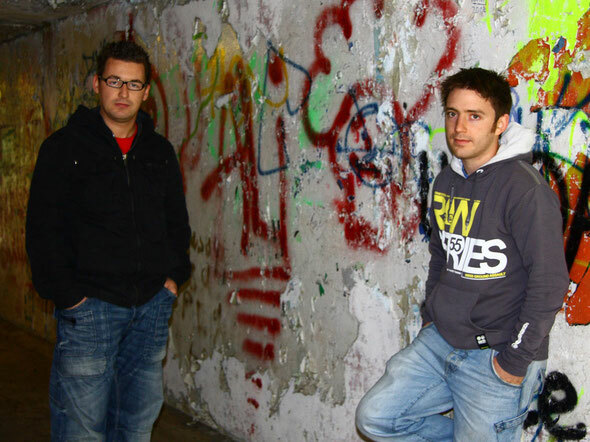 Reid & Peoples have gone from strength to strength since joining forces in 2007 and have been behind singles for labels such as Umek’s 1605, MB Elektronics and Rekluse etc. Away from the studio, the pair has been touring heavily, taking their DJ sets across the globe, whilst maintaining residencies in their native Ireland. The ‘Ramesis’ EP is built around three brand new, original tracks from Loco & Jam, kicking off with title track ‘Ramesis’, a pulsating and menacing slice of full-blooded techno. The second track on the A-side comes in the shape of ‘Vesta’, which delves further into the realms of the deep, dark and driving. On the B-side, it opens with a remix of ‘Vesta’ from Belgian techno don Tom Hades who reworks things into a stripped back yet intense version with an old school warehouse vibe. The techno sounds of ‘Pandora’ completes the package. Out 16th July.